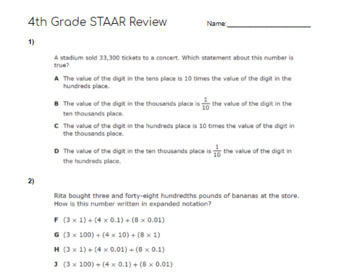 This 40 question assessment will review each of the TEKS from 4th Grade Math. Questions are all rigorous released STAAR questions from Lead4ward. 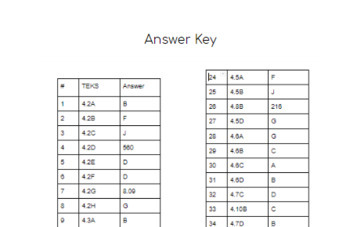 One question for each of the TEKS. 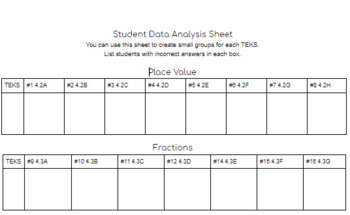 Fully editable Data Analysis Sheet!